In this latest segment of Random Thoughts from the Humidor, I ponder the evolution of Drew Estate and if larger cigar companies that buy smaller ones are getting good value. Drew Estate’s tagline is “the rebirth of cigars,” but the most impressive rebirth is that of Drew Estate itself. It’s easy to forget, but no cigar company has changed more in recent years than Drew Estate. I was recently searching for some information and found a thread on a message board consisting almost entirely of seasoned cigar smokers complaining about Drew Estate. The complaints consisted of rants about gimmicky flavored cigars (though Drew Estate calls their cigars “infused”). Today that complaint would be inconceivable, but back then Drew Estate hadn’t introduced Chateau Real yet, let alone Liga Privada or Undercrown. 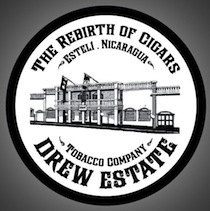 For me, reading through that thread was a stark reminder of how Drew Estate has reinvented itself in a relatively short period of time to become a leader in the industry when it comes to “traditional” cigars, while still dominating the “infused” cigar market. Along with the emergence of Drew Estate, we’ve seen many cigar makers reemerge from “retirement” to start their own companies. Some—Ernesto Perez-Carrillo and Cristian Eiroa—”retired” after selling their brands to larger companies. The newer, smaller, family-run companies are now creating innovative cigars, but my question is: Do the large cigar companies (General Cigar and Davidoff, in these examples) left owning their original brands (La Gloria Cubana and Camacho, respectively) get good value even after the principles who built the brands leave? Certainly they feel the brands they purchase fill a void in their portfolio that they want to fill, and if they can keep the quality of the cigars high, they will keep a significant percentage of the customers who are loyal to those brands at least for a while. I suspect, though, that this type of consolidation isn’t as profitable as it once was. These days cigar smokers, particularly those that smoke cigars with the most regularity, are less loyal to any particular brand, and seem more interested in trying different cigars. If the people most responsible for creating the identity of a given brand are no longer active in the brand (or even creating cigars for another company) is buying a smaller company still worth it? It seems perhaps that four or five years later all they are left with is a trademark and a list of customers. I don’t discount the largest cigar companies’ marketing expertise and distribution advantages, but I’d wonder if that is enough to make shelling out millions for a smaller brand worthwhile. Maybe the future isn’t buying cigar brands or factories wholesale for millions of dollars, but partnering with companies to help them market and distribute their cigars. One example is Don Sixto, made by Plasencia and marketed and distributed by General Cigar. This may be a template for future partnerships. I agree that there seems to be some different thoughts regarding the buying of smaller brands. There are a lot of behind the scenes politics and personal motivations I would assume. Look at CAO for example. Torano was somehow aligned with them for a bit, then pulled away shortly before CAO was bought by General. I had heard (not sure how true this is) that basically Torano needed CAO for distribution of cigars, or production (or something like that), then after getting what they needed they pulled away to be back on their own. Was the money just too great for CAO to turn down regarding General's offer? Was the company not doing as well and looked to get something out of it? General's history of buying brands doesn't usually bode well for the continuation of the quality of the brand they bought. I still don't understand how they think they will make money when most cigar smokers will be able to tell that the quality diminished from before the brand was bought out. Name will only get you so far usually, (Macanudo still sells just on name alone), and people will stop buying them. Finally, it wouldn't surprise me if sometimes some companies are bought out under the idea of buying out the competition. Yes, they will continue to produce cigars under that name, but their main enthusiasm isn't really for it in the long run. Am I the only one who HASN’T seen the drop-off in quality among CAO cigars after General started producing them? Sometimes I think it’s fashionable for smokers to say things like, “General is ruining the CAO cigars I used to love,” when in actuality nothing has changed. And, yes, for the record, I do like a number of General products, finding them to be excellent quality for the money. What am I liking currently? Illusione, Padron, some Tatuajes (petite Cazadora? is just a great short smoke), some LFDs, Carillo, and Alec Bradly has really stepped it up in the last year or so. These are just off the cuff cigars I've been liking lately and I'm sure I missed some. First sign that General was trying to save money on the CAO line was when I noticed that many boxes were now not coming with the humid pack. Then I also heard that they would be changing the factories where many of the CAO lines were being made. Plus looking at history. Just as an example, even though many people like the current La Gloria Cubana, it is really not close to how Carillo originally designed it.